If a peace treaty is signed in Israel soon, is that THE COVENANT that we are looking for to be fulfilled? I believe the answer to this question is NO, and I will attempt to explain why! “The Bible says a false peace will precede war in the Middle East. Through a series of events such as preliminary battles (Psalm 83, Isaiah 17) and meaningless peace agreements the Israelis will come to believe the threats to their national security have been removed, and they’ll let down their guard. A that point a coalition of Moslem nations will attack with such force that nothing short of God’s direct intervention will save them. But He will intervene and Israel’s enemies will be defeated (Ezekiel 38). That’s when a powerful man will come forward with the suggestion that it’s time to enforce a covenant that’s already been negotiated between the combatants. This time the world will be convinced that real and lasting peace has finally come, and this man will be hailed as a great peace maker, unlike any the world has ever seen (Daniel 8:25). Is there any reason to doubt this view? First let’s discuss Daniel 9:26. I’m going to assume you’re on the same page with me here and we both understand that the “anointed one” who was “cut off”, but not for Himself, was Jesus. The “people of the prince who is to come”, the Romans, literally destroyed Jerusalem and the Temple in 70 AD. Titus, the Roman prince who was “still to come” in Daniel’s time, opposed the destruction of the Temple and actively tried to stop it 3 times while his people (or mercenaries, as the case may be) destroyed it. It was literally the “people” of the “prince who was to come” who destroyed the Temple. Daniel 9:26 may be specifically describing that it was the people, not the prince, who was acting because that would have been very unusual (normally armies follow the commands of their leaders). The end of Jerusalem and the Second Temple did come very suddenly, “like a flood”. For a detailed discussion of the destruction of Jerusalem, please see this post – The 70 Weeks of Daniel. The intervening time would then involve wars and desolations for the Jewish people. Dictionary.com defines desolation as “a state of complete emptiness or destruction; anguished misery or loneliness”. It comes from the Latin desolare – ‘to abandon’ – and for all intents and purposes, it will seem that God has abandoned His chosen people for almost 2000 years. This fulfilled their scattering among the nations, which was foretold repeatedly in scripture. Now on to Daniel 9:27. Does the main character remain the same (the people of the prince who was to come), or does it change? In the different prophecy views, there is a lot of discussion over that little word, “he”. Who, Exactly, are the “he’s”? The Antichrist – The futurist view of Biblical prophecy considers there to be a break (of about 2000 years) between Daniel 9:26 and 9:27. All rapture timings within this view traditionally teach that the “he” who makes the covenant, causes sacrifices and offerings to cease, and makes desolate, is the antichrist. This makes a lot of contextual sense, as Daniel’s visions are repeatedly of the end times and of the antichrist. Until very recently I also agreed that the “he” was the antichrist. I still think it’s a definite possibility. Because this view is well described elsewhere, I won’t expand on it here. However, a new twist on the traditional view is that the antichrist may try to confirm the MOSAIC covenant. The False Prophet – Since we are told in Revelation 13 that the false prophet is the one who organizes the setting up of the image that will be worshiped (the abomination of desolation), it is possible that the “he” who makes the strong covenant with “many” is actually the false prophet on behalf of the antichrist. Israel – Chris White, in his book “False Christ”, takes the futurist view but suggests that the covenant may be initiated by Israel herself instead of by the antichrist. From memory, I think he suggests that the covenant Israel makes is with the antichrist and surrounding countries, but that she is the one in the powerful position to propose the terms and conditions. Regardless of who initiates the covenant, this view still holds that the covenant is made with the antichrist or Israel’s enemies. I think this is an interesting twist on the usual interpretation. (Note that he holds a pre-wrath rapture view and we disagree on that). (Father) God – Another possibility that I have seen circulated recently (I apologize, I can’t find links), is that God Himself confirms the covenant. This also takes the futurist stance, but states that there will be a “dueling of the covenants” in which God will confirm His covenant with Israel while the antichrist ALSO makes a covenant of his own. Despite the confusing way this view was presented, is it possible that God Himself is confirming a covenant? This is what I set out to explore. I have this Septuagint translation in Appendix A of Israel: The Handwriting on the World. In most English translations, there is a “he” supplied that is not there because the Hebrew is ambiguous. This LXX translation fits the Rapture scenario at the start of the 70th Week since there is no requirement for some covenant signing or peace agreement to initiate it. And really this Covenant here is The Covenant between God and Israel. After these 7 years the 70 Weeks are fulfilled bringing to completion all of the promises in Daniel 9:24. What if the actual meaning of Daniel 9:27 goes something like this: And the covenant with [the Hebrew people] shall be strengthened / reconfirmed for one week [7 years], and in the middle of the week [God’s] sacrifice and offering shall be taken away. In the temple, the abomination that causes desolation shall be set up until the decreed end comes upon the desolator [i.e. the second coming of Jesus when He tosses the antichrist into the lake of fire]. Could this meaning fit? I will explore this as well. What Does the Second “he” Do? If there is a “he” confirming the covenant, it would make sense that the “he” is also the one putting an end to sacrifice and offering, to be gramatically consistent. This could be the antichrist OR the false prophet. As mentioned previously, they are two of the members of the “unholy trinity”, who both bring worship to the third member – the dragon (satan). Is there a second he? It doesn’t specify in the LXX how the covenant is (re)established, or who is doing it. However, it does state that it is God’s sacrifice and drink offering that will be taken away in the middle of the week. This version also doesn’t spell out who is placing the abomination of desolation, and it suggests that an end comes to the desolation itself (not discussing the fate of the desolator). I’m not convinced that we can conclusively state that the “he” who confirms the covenant is also the desolator who places the abomination of desolation. Clearly, the one who makes desolate is the antichrist, regardless of who confirms the covenant and who stops the sacrifice and offerings. We are told that he will place an abomination that makes desolate a number of times in scripture (Daniel 11:36; Matthew 24:15-16,21; Revelation 13:13-15; 2 Thessalonians 2:3-4). So… will the covenant in Daniel 9:27 be a new covenant or reconfirm an old one? It will last for a week of years (7 years). Whether this covenant is specifically made for 7 years, or if we are simply being told that it will last for 7 years, is not stated. I have read that the covenant may be presented as open-ended or “eternal”, but that God is telling us that it will last for only “one week”. This may be supported by the verse that the antichrist will “seek to change the times and the law” (Daniel 7:25), but we have been given the foreknowledge that God will cut short his days and he will come to his decreed end (Matthew 24:22, Daniel 9:27). The strong covenant must include the people of Israel (the 70 Weeks prophecy is about Daniel’s holy people – Jews, and his holy city – Jerusalem), but it might include others as well. It may or may not be a “new” covenant. It might be a new covenant made; it might be a strengthened or restored pre-existing covenant. It will likely include Old Testament-style Jewish worship and sacrifices in a rebuilt Third Temple in some fashion. We can surmise this because in the same sentence, sacrifice and offering is ended – which means it likely started occurring as part of the “strong covenant”. The covenant seems to continue on for the full 7 years, even though sacrifices and offerings cease in the middle of it. It only ends when the “decreed end is poured out on the desolator” (at the second coming of Jesus Christ). Is the Covenant a Bad Thing? You shall make no covenant with them and their gods. (Exodus 23:32; Exodus 34:12; Deuteronomy 7:2 ESV). God knew that if Israel made covenants with the peoples around them, they would fall into spiritual idolatry, which is exactly what ended up happening. History often repeats itself, and any covenant made for peace/land will also lead to spiritual harlotry. If the covenant is made with the Antichrist and the “many”, it may offer compromise on the Promised Land, which isn’t Israel’s to give. The holy land belongs to God and is His alone to allot and possess. Chris White, in his book The False Christ, suggests that the “Jewish view of the phrase ‘new covenant’ is no more than a renewed national commitment to abide by God’s laws”. In this view, the antichrist will re-confirm the Mosaic covenant by authorizing the starting of sacrifices and allowing the rebuilding of the Temple. Not only may he confirm it, he may actively be involved in the process. For more on this, please see: Why Israel Rejected Jesus at His First Coming. This would fulfill Jewish messianic expectation and also take focus off the true Messiah – and His “New Covenant”. Alternately, Israel herself may try to return to the Mosaic covenant. God would not want the Mosaic Covenant re-instated, as it was a temporary covenant that has been replaced. 2 Corinthians 3 discusses this, as well as the passage in Hebrews above. If the covenant spoken of in Daniel 9:27 is a re-confirmation of God’s Abrahamic Covenant, His eternal promise to Abraham for descendants and land – this would actually be a GOOD thing. This is an eternal covenant, promised to Abraham, which has yet to see complete fulfillment. What covenant are we talking about here? Let’s review what God’s covenants are all about! Answer: The Bible speaks of seven different covenants, four of which (Abrahamic, Palestinian, Mosaic, Davidic) God made with the nation of Israel. Of those four, three are unconditional in nature; that is, regardless of Israel’s obedience or disobedience, God still will fulfill these covenants with Israel. One of the covenants, the Mosaic Covenant, is conditional in nature. That is, this covenant will bring either blessing or cursing depending on Israel’s obedience or disobedience. Three of the covenants (Adamic, Noahic, New) are made between God and mankind in general, and are not limited to the nation of Israel. The Adamic Covenant can be thought of in two parts: the Edenic Covenant (innocence) and the Adamic Covenant (grace) (Genesis 3:16-19). The Edenic Covenant is found in Genesis 1:26-30; 2:16-17. The Edenic Covenant outlined man’s responsibility toward creation and God’s directive regarding the tree of the knowledge of good and evil. The Adamic Covenant included the curses pronounced against mankind for the sin of Adam and Eve, as well as God’s provision for that sin (Genesis 3:15). The Noahic Covenant was an unconditional covenant between God and Noah (specifically) and humanity (generally). After the Flood, God promised humanity that He would never again destroy all life on earth with a Flood (see Genesis chapter 9). God gave the rainbow as the sign of the covenant, a promise that the entire earth would never again flood and a reminder that God can and will judge sin (2 Peter 2:5). Palestinian Covenant (Deuteronomy 30:1-10). The Palestinian Covenant, or Land Covenant, amplifies the land aspect that was detailed in the Abrahamic Covenant. According to the terms of this covenant, if the people disobeyed, God would cause them to be scattered around the world (Deuteronomy 30:3-4), but He would eventually restore the nation (verse 5). When the nation is restored, then they will obey Him perfectly (verse 8), and God will cause them to prosper (verse 9). Mosaic Covenant (Deuteronomy 11; et al.). The Mosaic Covenant was a conditional covenant that either brought God’s direct blessing for obedience or God’s direct cursing for disobedience upon the nation of Israel. Part of the Mosaic Covenant was the Ten Commandments (Exodus 20) and the rest of the Law, which contained over 600 commands—roughly 300 positive and 300 negative. The history books of the Old Testament (Joshua–Esther) detail how Israel succeeded at obeying the Law or how Israel failed miserably at obeying the Law. Deuteronomy 11:26-28 details the blessing/cursing motif. So Which Covenant Are We Talking About? God made 4 of these covenants specifically with the nation of Israel, and since Daniel’s prophecy is about his holy people (Hebrews) and holy city (Jerusalem), we can surmise that the covenant Daniel is talking about is also about Israel. If Israel is the one re-confirming her covenant with God, the only one she is capable of initiating herself is the Mosaic Covenant. The Law of Moses, the sacrificial system, is what defines Judaism. It is clear that Israel will indeed re-start sacrifices and offerings. Will that be an attempt to re-institute the Mosaic Covenant? If Israel were to re-confirm the Mosaic covenant, it would be with “the One” – God – which doesn’t fit the verse, because the covenant is confirmed with the “many”. However, from Zechariah we know that while many Hebrews will come to Christ (~1/3), many will not (~2/3). It is highly probable that the Jews who are shaken into returning to God, but still continue reject Jesus, will desire to return to the Mosaic Covenant. If it is the antichrist appearing to confirm the Mosaic Covenant with Israel, this would fit the verse. If this is the correct interpretation, and God confirms He Abrahamic covenant with Israel, what could possibly lead Him to do so? What Rouses God out of His Silence? I believe it is event-driven. There is only one event in the Bible where God is described as rising out of His silence towards Israel. Only one event that could drive Israel to finally rebuild their Temple, and restart sacrifices and offerings to the God of Abraham, Isaac, and Jacob. Ezekiel 38-39, the Gog-Magog War. I have discussed the Gog-Magog war, and the possible encircling wars of Psalm 83 and Isaiah 17, before. I believe there are strong connections between Seal 6, the beginning of birth pains (Olivet Discourse), Ezekiel 38-39, and the rapture of the church. Basically, in the Gog-Magog war, God Himself will raise Israel’s enemies up against her in such a way as to appear that Israel is on the brink of annihilation. He will then rise up out of His “silence” to protect her. God will break His silence with Israel for the purpose of announcing to an unbelieving world – Israel herself and all the nations – that He is still here! He intends to fulfill His covenant promises and reclaim Israel as His people and His land. God mentions this purpose 70 times in the book of Ezekiel; four times in these two chapters alone, to ensure He gets His point across. However, He has one final test for Israel. When God intervenes, what will Israel do? God will send His 2 Witnesses to preach the Good News of Jesus Christ. Will Israel finally accept Jesus as her true Messiah? Israel appears to rebuild the Temple (it’s basically ready to go already). She then appears to restart sacrifices and offerings in that Temple. Are these an abomination to God? As one of my fellow watchmen reminded me, Israel is going to be a real “mixed bag” in the latter days. About 1/3 of the Hebrews, starting with the 144,000, will come to Christ, and may offer pleasing sacrifices in worship to God. Or, maybe they won’t participate in the Temple and Sacrifices. I’m not sure, but it is likely that the 2 Witnesses will guide this process. It seems that the other 2/3 of Israel attempt to worship the God of Abraham, Isaac, and Jacob while continuing to reject the New Covenant of Jesus Christ. Their sacrifices, in an attempt to atone for sin in an Old Covenant way, would be unacceptable to God. The sacrifices and offerings in and of themselves aren’t necessarily bad, as these will be re-instituted in the Millennial Kingdom by God Himself as a memorial of what Jesus has done. It will be the heart of why the sacrifices are being done that will make them either pleasing or an abomination to God. If this passage describes the antichrist, it would seem to support the view that the covenant that is confirmed with Daniel’s holy people in 9:27 is indeed a “holy covenant” with God. This passage describes those who know their God as standing firm, while those who rebel against God would seem to violate or forsake the covenant. Reading this just struck me with the mention of Jesus coming to redeem his people and to be salvation for them, tied together with God remembering his holy covenant that he swore to Abraham. We know that in the latter days, God will again send 2 witnesses – one of them who is expected to be Elijah – to prepare the way for the Lord and to announce that the kingdom of heaven is at hand. These will give knowledge of salvation to His people. Is this again tied to God “remembering” His holy covenant with Abraham’s bloodline descendants? I have come to believe that the covenant that is confirmed with the “many” in Daniel 9:27 quite possibly refers to God re-establishing His Abrahamic (lineage and land) Covenant with the people of Israel. God, in His own perfect timing, will “hook the jaws” of Gog and make it appear that Israel is on the verge of annihilation. 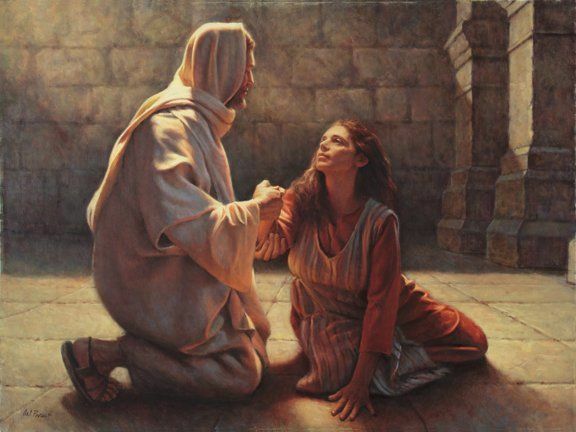 He will do this specifically so that He can intervene and prevent her destruction – thus re-confirming His covenant with her. I believe that the event that causes the impending destruction upon Israel, and results in the strengthening of the Abrahamic Covenant, is most likely to be the Ezekiel 38-39 War (likely coincident with the rapture of the church). This will mark the fullness of the gentiles having come into the New Covenant and release the partial hardening that has been on Israel for the last 2000 years (Romans 11:25). This will begin her national restoration (Romans 11:26). I believe that Israel’s response to God’s miraculous intervention will involve rebuilding the Third Temple and restarting sacrifices and offerings to the God of Abraham, Isaac, and Jacob. The Two Witnesses may guide or oppose this process, I’m not sure. It depends on the heart of why the sacrifices are being done that will make them either pleasing or offensive to God. Daniel 11 seems to indicate that the sacrifices and offerings might be a pleasing thing to God, as an act of worship (not to atone for sin, as that has been completed once and for all through Jesus Christ). Following this, it seems that the majority of Israel will continue to look for a “new” messiah… and that they will find and embrace one who comes “in his own name”. In the middle of the week of years, the antichrist will claim to be “god”, stop sacrifices and offerings to God, and set up the abomination of desolation. When Jesus Christ appears at the Second Coming, 1260 days later, He will put an end to the desolation and the Desolator. Hello Stephanie! I found this article while looking for support of my idea that the Covenant of Daniel 9:27 is about confirming the Abrahamic covenant. Thank you for your work here… you’ve done a really nice job laying out the various options of Daniel 9:27! And that Septuagint translation is very interesting! I also appreciate the idea that God rising from silence is event-driven with the Gog-Magog war. Such good thoughts here! If you’re interested in how I see a rapture fitting within Daniel’s 70th week, you can see here: http://unsealed.boards.net/post/20133/thread. I would love for you to join our discussion. Thank you for the invite! I am registered for those boards but haven’t spent much time on there. I love unsealed! Thank you so much for this great article, and your faithful work with this site, I have been very blessed by it! This is going to be a long reply, but I feel it is something the Lord laid on my mind/heart and is perhaps quite important and directly related to this. Please, I would appreciate your thoughts on this if you are able. I’m going to paste the message that I sent a couple days ago to the watch folk at Unsealed and previously to Daniel Matson, and then I will add a couple more thoughts that I did not include, one that I just saw today. As I was thinking upon everything going on (and checking the news for the next shoe to drop…), I was thinking about the 70th week, and all of the patterns leading both to this time and it would seem Christ’s second coming at the fall feasts in 2024. During this I believe the Lord laid the following possibility on my heart/mind, and I could not wait to share this with you and possibly the rest of the watch-folk. To start with, we of course know that 70 weeks are decreed for Israel per Daniel chapter 9 to seal up vision and prophecy, etc. for “your people and holy city”, (and that it seems like a good fit for this to occur by Hanukah Day 8 of the Hebrew year 5784 on 1/2/2025 as Daniel Matson has shown). We also know that the 69th week finished on the original Palm Sunday, Nisan 10. We know that Christ was crucified on Nisan 14, Passover, and then raised to life sometime during the morning of probably Nisan 17. We know that after this, 40 days later, He gave the disciples the Great Commission and ascended to Heaven. Then, 10 days later the Holy Spirit came down upon the believers in Jerusalem on Pentecost. My thought was, what happened after Palm Sunday? The church age had not really started yet. If you consider the idea (as mentioned here by Jack Kelley: https://gracethrufaith.com/end-times-prophecy/the-great-pause/) that the 40 days before His ascension were a time of testing for Israel and a chance for them to recognize Him as their Messiah (though He knew they wouldn’t and said as much after riding into Jerusalem), then it would almost seem as if maybe the 70th week was actually interrupted after ~40-47 days had already passed. In some ways it also seems a case could be made that the giving of the Great Commission started the Church Age, with it being empowered 10 days later at Pentecost, and that perhaps God has already shortened the 70th week by, 40 or 46-47 days before now. The amazing result of this is that if you take 2520 days (7 x 360) and subtract the 46-47 days, you end up with 2474 or 2473 days. Counting this back from Hanukah Day 8 on 1/2/2025 brings us to March 26/27, 2018, or Nisan 10, the day of the crossing of the Jordan (highlighted of course by Billy Graham’s passing and typology to Moses). I felt rather stunned to see this to say the least (not to mention the fact that my birthday is on what would be the 26th in Israel, 25th here, maybe the day we go home?…). This would maintain the 7 x 360 day prophetic year pattern, but provide a manner in which God has shortened the days without switching to the lunar month idea (which kept bugging at my spirit some, given the previous pattern). This would also seem to fit previous dispensations and, I would argue, God’s character in not having a time of “limbo” with regards to His focus and workings among mankind. (I have never thought much of the idea of a large gap after the Rapture or His 2nd coming). And, yes, I do certainly realize there will be a covenant of death that Israel will enter into during the tribulation time, probably with the one who “comes in his own name”. However, as Dan Matson, Stephanie (of redmoonrapture.wordpress.com), and others have noted, the Daniel 9 passage does not specifically say what covenant and who is doing the confirming (Stephanie had a somewhat recent article on this and there was an old one c.2011, very in-depth, on watchfortheday.org). This led me to consider that this possibility mentioned above regarding the 70th week/where the church age is inserted may provide greater clarification on God’s dealing with Israel, and the shortening of the days. So, this was the bulk of my previous letter, and after doing some digging and thinking, two other items stuck out to me. One, many ministries who hold to a preterist, historic fullfillment of Daniel’s 70 weeks actually already come to a similar conclusion, though they usually place the beginning of the 70th week at Jesus’ baptism, not at Passover time. Of course we know that the the decree for the rebuilding of Jerusalem is in 444 or 445 BC and puts the finish of the 69th week at Palm Sunday when Christ rode into Jerusalem, and is then subsequently “cut off”. Also, we know that the complete geographic fullfillment (and/or perhaps confirmation) of the Abrahamic covenant won’t happen until at least the end of the 70th week as noted in your article. So in conclusion, Could it be that the “Great Pause” of the church age was not between the 69 and 70th weeks, but actually 40-47 (or 50-57 if counting from Pentecost) days into the 70th week? The more I have searched Scripture and studies relating to this and the setting aside of Israel while the fullness of Gentiles is brought in, the more it seems like this may in fact be the proper view and understanding. Look forward to meeting you in the Celestial City before the throne of our Lord and Savior! Fascinating! I am going to have to sit down with this one with timeanddate opened! Dan Matson should surely be interested in this and I would be interested in his reply. What I’m currently considering is that at Seal 6 (when I believe all the seals occur and the resurrection rapture event occurs), literally knocks Earth back into a 360 day year orbit. I’ve been pondering how to plug that in to timeanddate and had it within a day at one point at midnight one night….went to bed….and couldn’t figure out how I did it in the morning. Ha.